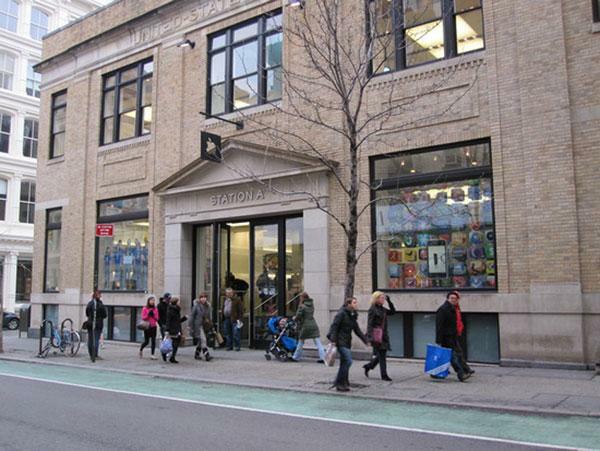 In a first-ever challenge for the companys retail division, Apple this summer plans to temporarily relocate one of its highest trafficked New York City retail stores so that its original space can undergo a much-needed expansion. The smallest but eldest of Apple's four Manhattan retail stores, the SoHo shop has been struggling to accommodate its thousands of daily visitors for years. Apple has reportedly received clearance to expand the store by taking over the ground-floor space at the rear of the old U.S. Postal Service parcel that was vacated back in 2009. The first floor of the existing SoHo shop will be overhauled and rearranged to accommodate the expansion into the former post office space, but the store's iconic glass staircase —the first ever for an Apple Store —and upper level will remain largely unchanged. With the remodeling requiring Apple to temporarily shutter the shop, the company will reportedly attempt a first-ever store relocation to an unknown Manhattan site until the renovations are complete. The bold move, expected to take place sometime in the next three months, underscores the critical role served by the SoHo store to Apple's multi-billion dollar retail business and Manhattan's more than 1.5 million residents. Built in 2002 within a former United States Post Office branch, the SoHo store was Apple's original flagship location and currently spans some 16,000 square-feet. 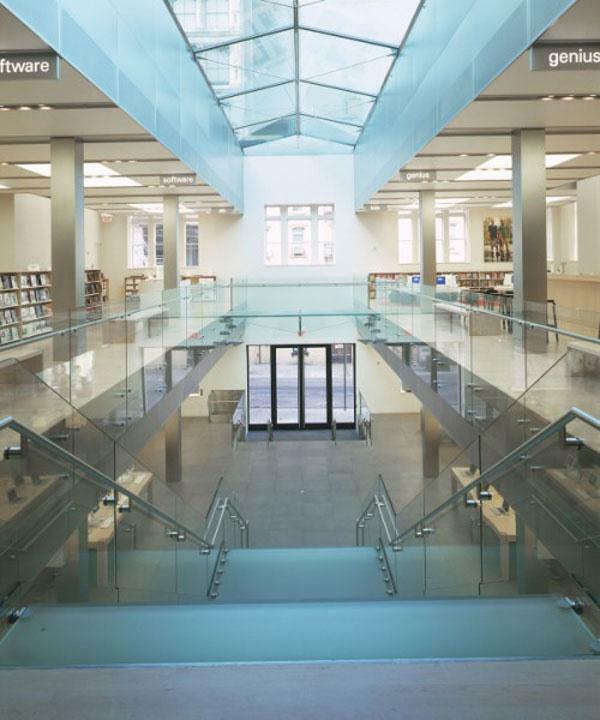 It's home to the first of the company's icon glass staircases and also features a glass bridge, skylight and 46-seat theater. It's one of a handful of stores in which Apple's architects faced sharp restrictions in their freedom to alter the buildings' exteriors due to local landmark preservation laws. While the city considers the building on Prince Street to be a heritage structure, the citys Landmarks Preservation Commission determined the construction work, will have no effect on significant protected features of the building. The additions, depicted in the diagram below, will add another 5,000 square feet to the SoHo store, bringing it up to par with the size of the company's three other Manhattan locations —all of which occupy at least 20,000 square feet. Apple launched their first retail store in 2001 and since then have built over 300 more around the globe. In 2010, 233 million people walked into Apple Stores all over the world as profits soared to $2.354 billion compared to $22 million in 2002. Apple is expected to open 40-50 new stores during 2011 including a new retail space on July 2nd in Rozzano, Italy.